Spain Join us on a small group tour to Spain! Andalusia is rich with culture and history and embodies the classic image of Spain—from the flamenco dancing and bullfighting, to the nightlife and ancient architecture. Embark with our team as we immerse and cook our way throughout Andalusia, Spain, exploring tradition, history, and culture, while being mentored in Spanish and travel cuisine. This is a great opportunity to develop your skills as a cook, or simply come home with a variety of recipes to share with friends, and explore some of Andalusia's hidden mountains, cliff-top roads, and wineries. At the end of your trip, you’ll receive a greater love for diverse cooking including French, Mediterranean and Italian cuisine that you can use when you go back home. 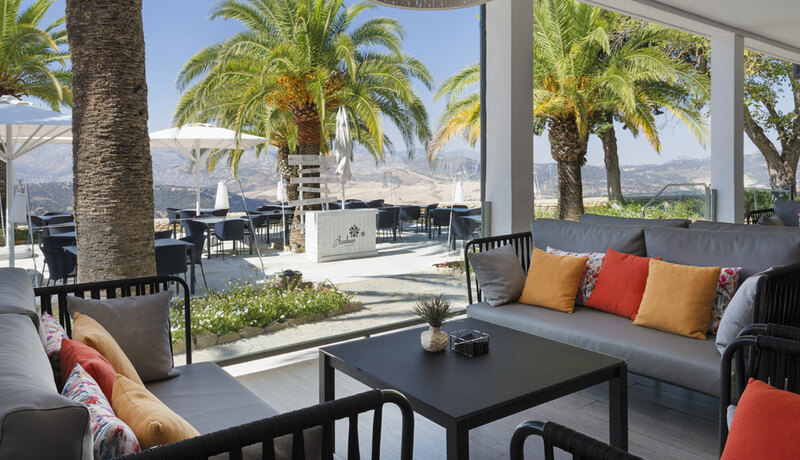 After one last scrumptious Spanish breakfast, you’ll travel through the Andalusian countryside on your way to the airport, passing rolling fields and luscious mountains. Now it’s time to catch your international flight back home, or, if you choose, extend your stay another 3 days in Morocco (see Morocco extension directly below). Influenced by Mediterranean and Arab countries, Moroccan cuisine embodies a wide range of tastes and flavors, enhanced by unrefined olive oils, preserved lemons, and flavorful dried fruit which add zest to sauces and stews. Authentic dishes use a variety of spices, including turmeric, cumin, saffron, and coriander. Spend 3 days in Tangier, Morocco, learning about country’s culture and cuisine. Prepare traditional dishes such as lamb couscous, pastilla—a pigeon meat pie, and other favorites, such as tagine—a slow simmered stew made of lamb, fruits, and plethora of spices. Morocco offers visitors a delicious taste of authentic cuisine, a truly unique blend of flavors, and dishes that will impress even the most seasoned foodie.